Just because we've always done something one way doesn't mean that it's the best, the only, or even the right way to do it. And yes, that's even true in the doctor's office. This orientation toward innovation has been helpful in driving new treatment options and research for countless diseases and conditions. But there is one area that it hasn't worked its way into very effectively. And one neurologist with the University of Michigan Health System is hoping to change that. If you've ever been to the doctor with symptoms of unknown origin, you know what your doctor's first response is likely to be: testing. These tests can be tremendously expensive. Sometimes they do help doctors get to the bottom of an issue. But other times, they lead to false positives or simply don't provide helpful information. And many carry their own risks, in addition to the expensive price tag. Neurologist Brian Callaghan, MD, MS thinks that this isn't a very good system. So he's leading the charge to help doctors think through which tests really are effective and which may not be such a good idea. He's doing this through a campaign he calls Choosing Wisely. He's working with the ABIM Foundation to help over 70 medical specialty societies figure out what tests may not be necessary. The team asked each society to put together a list of the top five procedures that they thought might be unnecessary. Some got so into the idea that they came up with a top 10 or even top 15! The team then began looking for consensus on potentially wasteful or unhelpful items. They gathered a total of 74 recommendations, with quite a bit of overlap among the societies. In particular, Callaghan found that many of these societies say that imaging tests, like MRIs, are overused for lower back pain and headaches. These tests can be very expensive for these issues, and they don't regularly uncover solutions. If you're suffering from one of these issues and your doctor recommends an MRI, I'm not saying you should refuse the test. But you should talk to your doctor about why he or she is recommending the test. If he or she can't give a good reason other than that's what's always done, you may want to see if there are other treatment options you can explore first. For lower back pain, I recommend my Prolozone therapy, which I've written about before. To find a practitioner who can help you with this revolutionary treatment option that involves using oxygen to help the body heal itself, you can visit our website at www.aaot.us. For headaches, I've had many patients have remarkable success with acupuncture, regardless of the type of headache they had. An imaging test won't provide relief, but acupuncture can. Food allergies, toxic metals, root canals, toxins in your teeth, TMJ (jaw joint) problems, past trauma, stress, and even old scars from surgery all can cause headaches too. An imaging test won't help you identify any of these problems. So consider investigating these options before you spend money on an MRI. And if your doctor still recommends one, just make sure you understand why. Spending time and money at the doctor's office for no reason can be a bigger pain in the neck than the one you already have! University of Michigan Health System. "Do you really need that MRI? 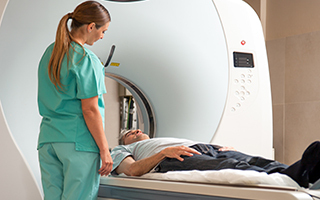 Just because an imaging test is typically done doesn't mean it's the best choice." ScienceDaily. 10 December 2015. <www.sciencedaily.com/releases/2015/12/151210181632.htm>.